There's two types of people in the world: those who hate Christmas jumpers and those who love them. Personally, I can't get enough of them and firmly believe you can never own too many Christmas jumpers. I feel like shops have really stepped up their Christmas jumper game this year and I've ended up with a wishlist as long as my arm (which really isn't that long, but still). You all know I love my pastels and there are so many cute pastel jumpers this year! My fave has got to be the My Little Pony one. I love MLP, lilac and let's be honest, All I Want For Christmas is one of the best Christmas songs of all time. The pastel pink, fairisle jumper from Boohoo is also really cute and a more toned down option for those of you who don't like full on Christmassiness (is that even a word?). Boohoo have an excellent range this year from toned down "I'm too cool for Christmas jumpers" jumpers to full on "I've got a 3D Rudolph on my jumper" jumpers - there's really something for everyone. I'm having a hard time resisting the super adorable deer jumper from Quiz and will probably end up getting it as an early "present" to myself and the Home Alone sweater from Primark is simply genius. Home Alone is a firm family favourite and we've been quoting it to each other on a regular basis for about 15 years (my brother has a habit of saying "keep the change you filthy animal" to taxi drivers - you can imagine how well that goes down). Did you like my wishlist? What was your favourite jumper? The whole collection is amazing! My favourite has to be the My Little Pony, who doesn't love a throwback to childhood favourites?! What an absolute gorgeous collection of jumpers! I am definitely one that loves them and I would definitely wear them for the whole of December if I could! 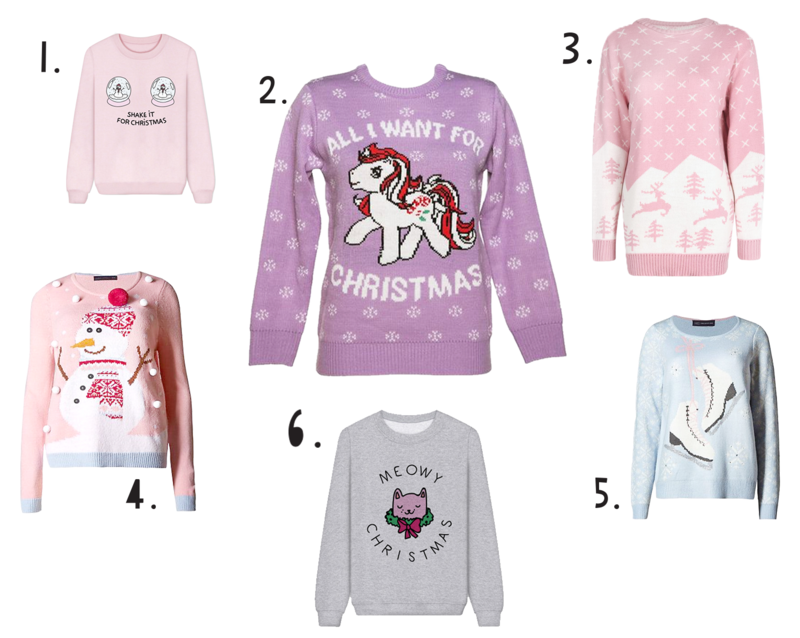 I think my fave has to be the "Meowy Christmas" one... I am a huge cat lover! 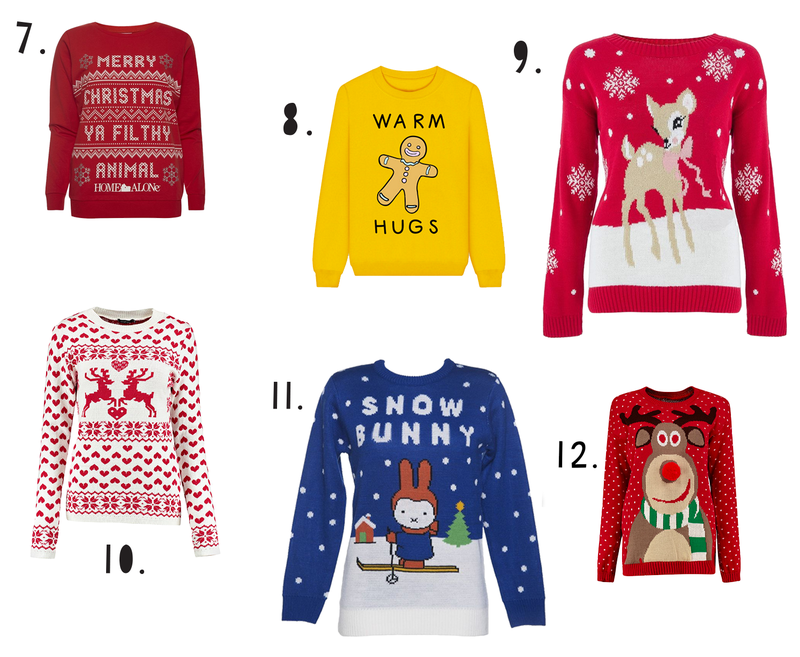 I love Christmas jumpers- I love the first one, I'm tempted to pick that up myself for next week! I hope you have a fab Christmas! All of these are super cute but I NEED NUMBER 5!! !